Cristiano Ronaldo has been given the green light to leave Real Madrid in the summer transfer window, according to reports online. 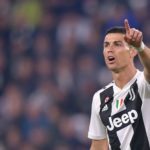 These latest claims – that all-time Los Blancos top scorer Ronaldo, 32, is free to negotiate a move away from the Bernabeu – have put some long-time suitors of the Portugal national captain on red alert. Sources in the Spanish capital suggest Real president Florentino Perez will be looking to get as much money as possible in any potential Ronaldo transfer. 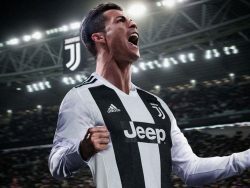 The release clause in Ronaldo’s current contract is widely reported as €1 billion; however, a compromise on the fee is likely if he leaves Madrid. 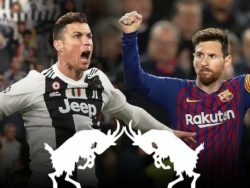 Recent transfer dealings involving Neymar’s move to Paris St-Germain and Lionel Messi signing a new contract with Barcelona have left Ronaldo’s basic salary behind the superstar South American duo. As a result of that and reports that his relationship with Perez has become strained by Real going back on an agreement to improve his financial terms, Ronaldo is thought to be unhappy in Madrid. 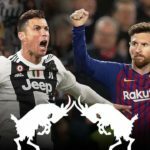 Although he continues to be prolific in the Champions League – a competition Ronaldo has fired Los Blancos to glory in during the last two seasons – his form in La Liga has dipped considerably this term. Ronaldo also recognises his commercial value to Madrid with his status as Real’s premier Galactico undiminished since arriving in Spain in 2009. 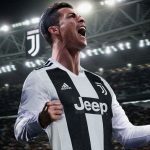 Ronaldo’s contract at the Bernabeu expires in 2021 but whether he will leave before or after the World Cup in Russia, an event Oddschecker believes will give plenty of youngsters time to shine, including emerging English talent Jadon Sancho at Borussia Dortmund and Spurs youngster Harry Winks, remains to be seen. If the need to replace him arises, then Perez has used the hype surrounding major tournaments to make marquee signings in the immediate aftermath of them before. Colombia star James Rodriguez – loaned out by Los Blancos to Bayern Munich for this and next season last summer – is a notable example of that. 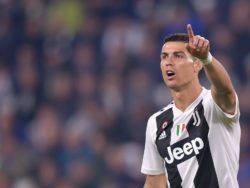 It’s the usual suspects linked with Ronaldo off the back of these latest reports; former club Manchester United (managed by one-time Bernabeu boss Jose Mourinho) and Paris St-Germain. The Red Devils could certainly use a proven Premier League performer to help them bridge the gap opened up by local rivals Manchester City. PSG, meanwhile, easily have the financial backing to make a Ronaldo transfer possible, but is the Parc des Princes a stage big enough for both Neymar and him? Since Qatar Sports Investments acquired the Parisian club in 2012, they have lured other stars of world football including Zlatan Ibrahimovic and Edinson Cavani to the French capital.